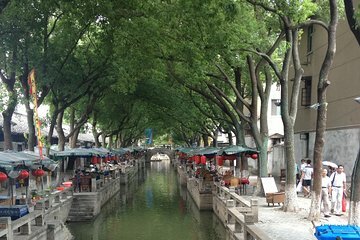 If you’re longing for the magic of old China, take a trip back in time on this private door-to-door tour of Tongli Town for up to six people. First, visit the Retreat and Reflection Garden (Tuisi Garden), recognized by UNESCO. Then cruise the canal in a wooden boat to the Three Bridges, tour the wedding museum, visit the Pearl Pagoda, and soak up the atmosphere at a traditional teahouse.